NT: Hey man, give those that don't know you yet an introduction. NT: How long have you been producing? Why did you start? S: I've been producing for just about over a year. I make music late at night and I tend to play around with lots of pads and synths, sample a lot of stuff I find on youtube, movie soundtracks and that. Basically started making music at night just to get stuff out my head that I see in reality and the more I keep making it, I feel like I'm expressing a different side to me. NT: I notice that your location on Soundcloud is, quite cryptically, 'North', but I've also noticed that you sample London-based artists a few times. I guess the question is, to what extent are you influenced by your immediate surroundings, if you are at all? NT: More musically, who do you draw inspiration from? I know you produce quite a lot of ambient stuff too, is there anybody that particularly influences those productions? NT: Tell us a little about what you've got coming up. Any releases we should look out for? Are you involved in music outside of production? S: Got an LP with Atsuko entitled ''Tomodachi'' coming out later this year on Prospekt Records. Then a cheeky lil' EP from Me and Retral to follow. I will also have my solo EP later this year on Prospekt Records. There's also a track called ''Passion'' that is available for free over at Warminal. They just put out an amazing complication called 'Rough Vision'. If you're liking my tunes just keep checking Soundcloud, I'm always uploading stuff, lots of free downloads. NT: Can you give us a few words on the tune you've chosen to give away? S: This tune ''Imminent'' just reflects on the future, on what's going to happen. Life's deep at a young age, who knows what the world'ss gonna be like and only the younger generation can make things change. NT: Finally, can you pick your three favourite 'Night Tracks'? NT: Thanks for your time man! 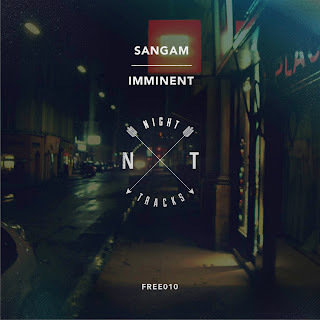 Bag Sangam's tune 'Imminent' below by clicking on the artwork.